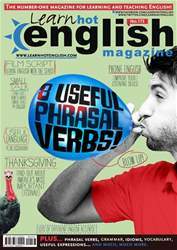 THIS MONTH WE ARE LOOKING AT SOME PHRASAL VERBS TO TALK ABOUT RELATIONSHIPS. THIS IS THE FIRST OF A TWO-PART SERIES. IF YOU “GET ON” WELL WITH SOMEONE, YOU HAVE A GOOD RELATIONSHIP WITH THEM.